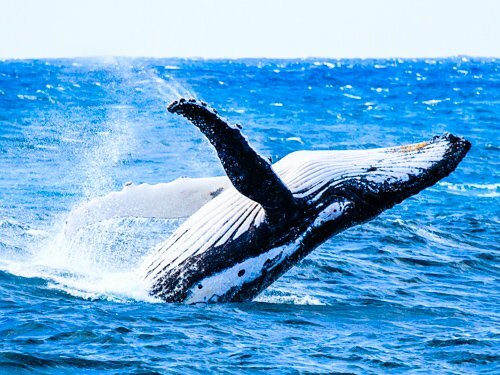 Boston weather in March marks the transition between winter and spring - so get ready for a wild ride! If you're visiting Boston this month, prepare for extremes - snow, ice, balmy almost-hot days, ripping high winds - and everything in between. Obviously, if you're planning a trip to Boston in March, packing can pose some challenges. Your task will be much easier and you'll be happier once you're here if you plan to dress in layers. 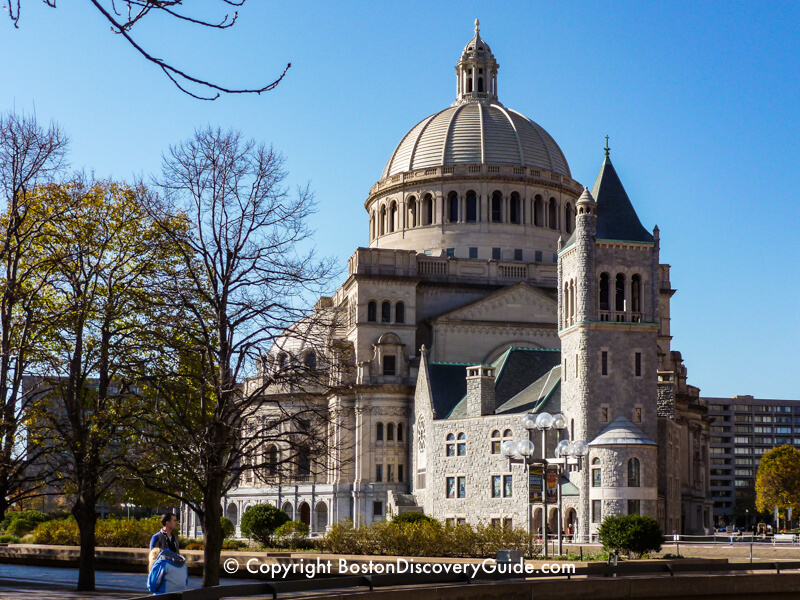 Despite the weather - and sometimes because of it - March is actually a great time for your visit to Boston. 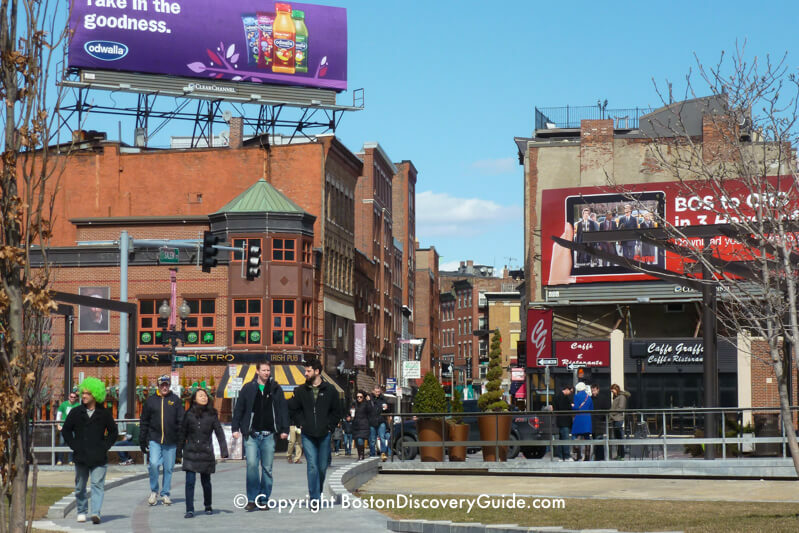 Boston hotels still offer reasonably low rates in March. Plenty of indoor concerts, Bruins and Celtics games, and Theatre District shows provide ways to keep warm if the weather turns cold. Skiing enthusiasts will find plenty of snow on slopes at nearby New England ski areas and resorts if Boston seems too balmy. 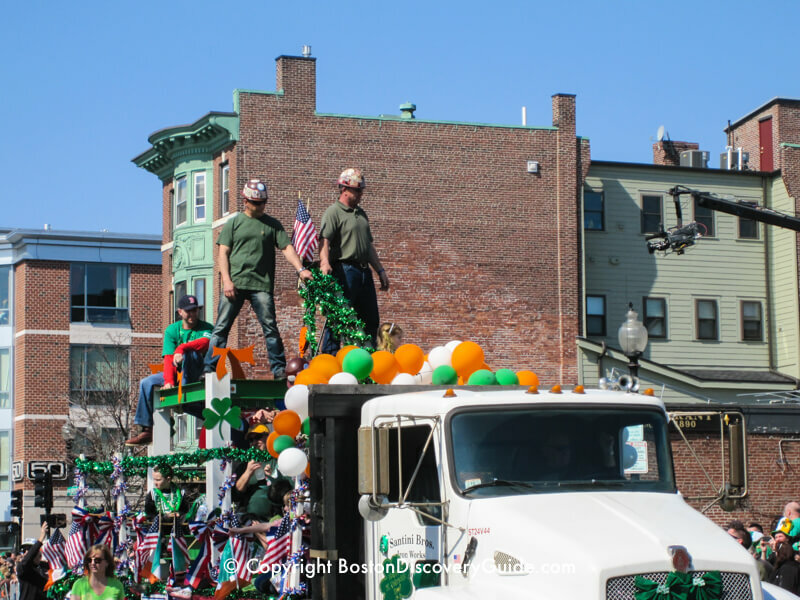 Lots of fun activities such as the St Patrick's Day Parade, Dine Out Boston, and the Boston Flower and Garden Show give you hard-to-resist reasons to get outside and enjoy the March weather in Boston - whatever it happens to be! The key thing to remember about Boston weather in March is that you should expect extremes. Enjoy the beautiful days, but keep in mind that wind characterize March weather - and due to our coastal location, we can sometimes get a lot of it. The other important thing to remember, especially if you encounter an unpleasant patch of March weather conditions, is that nothing lasts long this month. Snow, if we get it at all, usually melts quickly. Strong winds die down after a day or two. We have noticeably more daylight hours than during the previous 3-4 months, and after Daylight Savings Time kicks in on the second Sunday in March, afternoons feel much long longer and brighter. 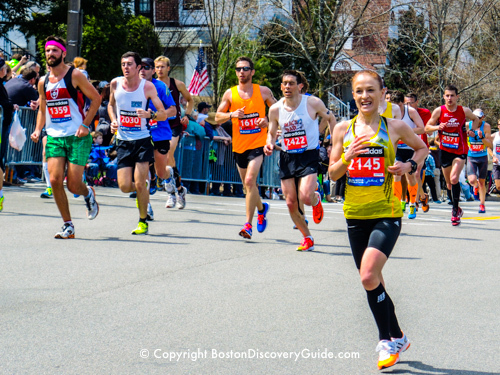 The photos on this page show you the range of what March in Boston looks like. As you'll notice, a little snow on the ground does not keep people from going out and enjoying warm (relatively speaking) temperatures. Throughout much of the year, Boston's leafy streets hide much of the beautiful architectural detail of the old and historic buildings. By March, most leaves are still off the trees (except for oaks, which retain their brown leaves until late spring when new ones finally appear). 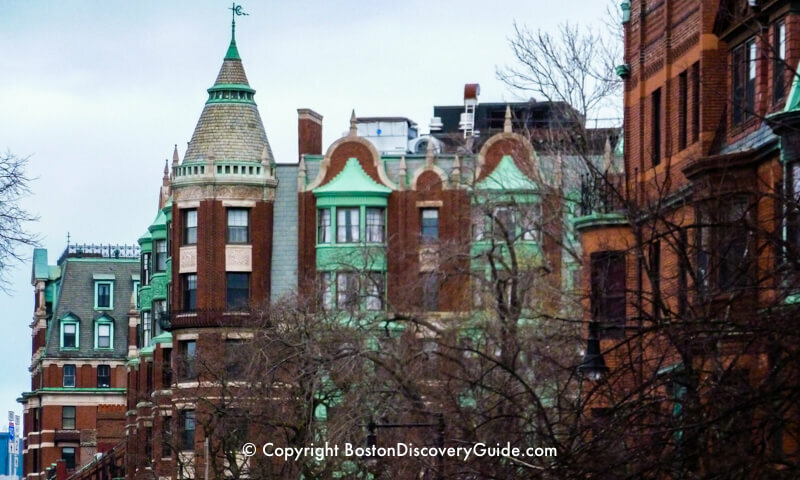 Take advantage of the lack of leaves to explore the magnificent architecture in several of Boston's oldest neighborhoods: Beacon Hill and Bay Village for Colonial-period buildings, and Back Bay and the South End where you can see block after block of magnificent Victorians. To see a few spring-like colors, head to the Public Garden where the golden branches of weeping willows around the Lagoon provide bright color. During early March, it's still often a slushy mess after being frozen all winter, but once it is drained, cleaned, and refilled later in the month, you may begin to see a few resident mallards return. March weather in Boston differs every year. In general, though, you should expect a mix of chilly-to-cold weather, more wind than you'd prefer, some sunny days, and rain. March is actually our rainiest month - so count on having an umbrella handy. Snow? Hard to predict - can range from lots to none. Be sure to check the current Boston weather report before coming. What if the weather in Boston feels too warm to you? No problem - head north to New England ski vacation resorts to return to real winter! In Case of Rain, Snow, or Cold Temperatures . . .
Boston weather in March means layers. Fleece jackets with perhaps a sweater to layer underneath can keep you almost as warm as a regular jacket - and you can shed the layers you don't need if temperatures rise. For women and men alike, a lightweight trench coat looks fashionable yet gives you protection against unpredictable March showers - or downpours. Gloves, a scarf, and an umbrella are also good additions. Worth noting: March is Boston's rainiest month. 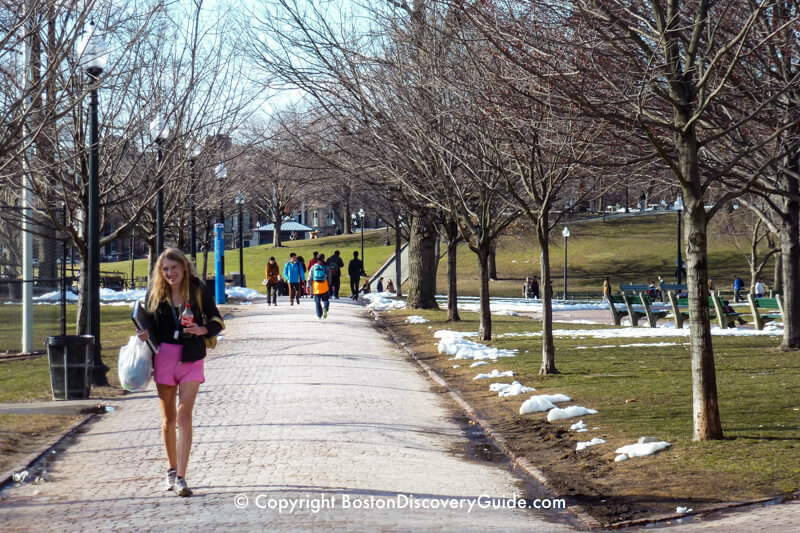 Boston's compact size makes it a great walking city, and March weather may inspire you to spend a lot of time outdoors. Be sure to bring comfortable walking shoes. Boots are not really necessary. Even if we have snow this month, it usually gets cleared out quickly and we're unlikely to have the multiple snow storms and frigid temperatures that make sidewalks slushy or icy earlier in the winter. From a packing perspective, you should also take into account the possibility of a day or two of unusually warm weather - so bring a light weight t-shirt or top just in case. 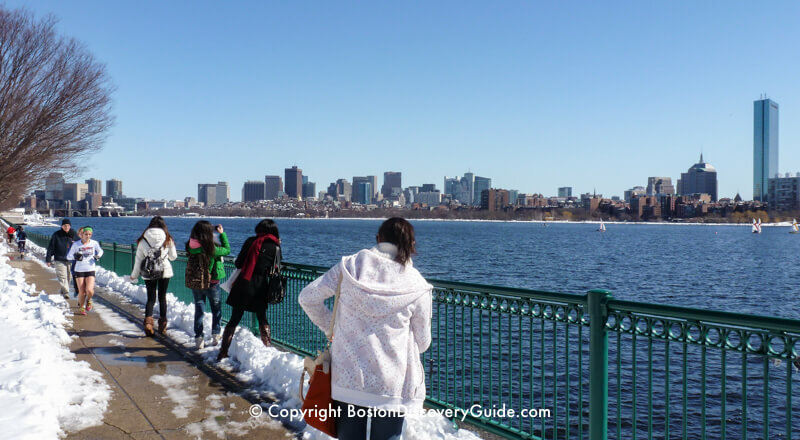 Check our general suggestions about what to pack for your Boston trip to get more tips. To find lots of selections along with discounted prices, head to Assembly Row - a 5 minute subway ride from Downtown Crossing. 1. Line up with other spectators along the street to watch Boston's famous St Patrick's Day Parade - If you're lucky, you can soak up some Vitamin D, but even if you have to bundle up, the high spirits will keep you warm. 2. 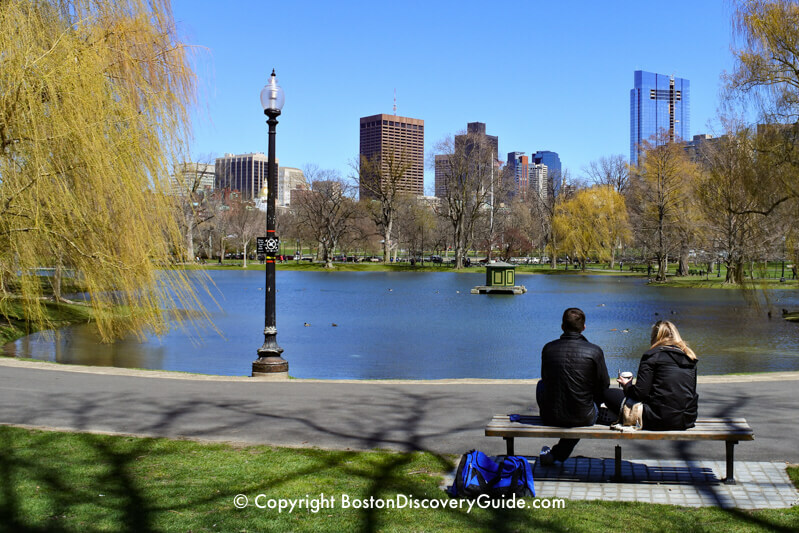 During the first week or two of March, ice skate at Frog Pond and other local rinks. Be aware that outdoor arenas sometimes close early if temperatures at night rise too high - so check before you go if the weather has been warm. 3. Get a glimpse of spring at the Boston Flower and Garden show. No need to bundle up - the show takes place indoors. 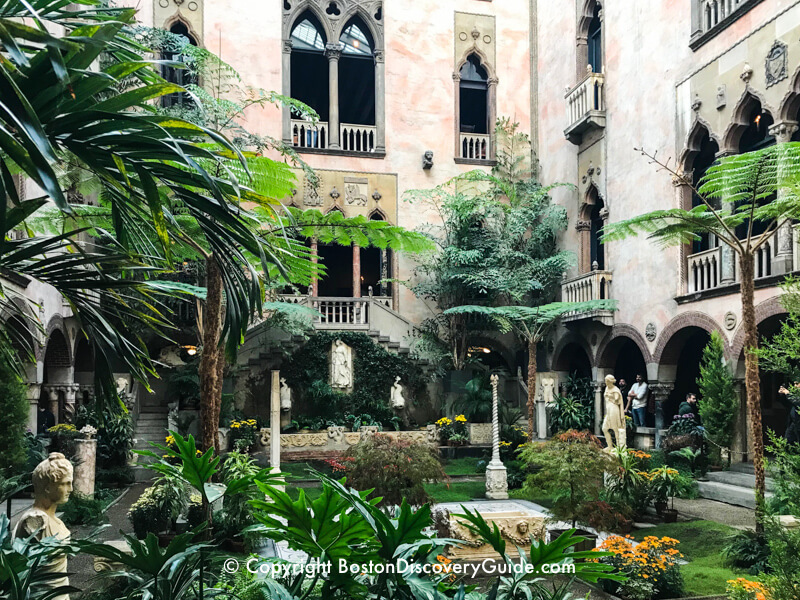 Another popular spot with indoor gardens so lush you'll forget about March weather is the Isabella Stewart Gardner Museum (25 Evans Way, Fenway neighborhood). 4. Especially toward the end of March, go for a walk and admire Boston's earliest spring flowers. 5. What to do if March weather turns nasty? Dine Out Boston provides the perfect excuse to enjoy a wonderful meal at an attractive discount in one of Boston's top restaurants. Ask for a window table so that you can look outside - and appreciate being inside. What does Boston look like during March? You should expect to see a city in transition from winter to summer. The first hints of color are from leaf buds forming in shades of pale green and sometimes purple. Despite the amount of rain that Boston gets during the month, many days are bright and sunny - perfect for walking around the city. The hugely popular Saint Patrick's Day at the middle of the month contends with all kinds of weather conditions: torrential rain, unexpected heat, and occasionally streets so narrowed by massive snowbanks from earlier storms that the route gets shortened to half or less of its regular course.